Malaga Airport is 8 kilometers from the capital and is well connected with the rest of the Costa del Sol and rest of Andalusia. Road access from Malaga and other locations is done through the E-15 motorway, and the National 340, existing bus lines from the towns of Malaga and Marbella. Another possibility is accessed via the commuter train linking the cities of Malaga and Fuengirola. The main traffic flow occurs Europe. 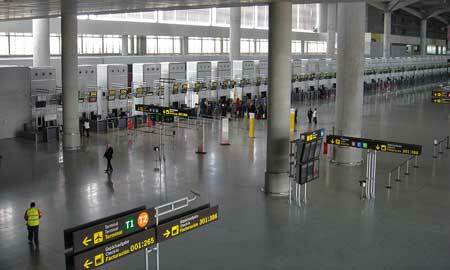 Specifically, London and Gatwick Airport is the destination that attracts more passengers. Second, the routes linking him with Manchester, Dublin, London (Luton), Brussels and Paris (Charles De Gaulle airport). On the Peninsula, they are especially busy Madrid, Barcelona, ? ?Palma de Mallorca and Melilla routes. The traffic of passengers is dramatic: from 7,273,418 passengers in 1997, to 10,429,439 in 2002 and to 13,076,252 last year. The latest data show that during the month of August 2007, passenger traffic was 1,548,348; in September, 1,429,198; and finally, last month, 1,285,247 passengers. Year that also occurred 127,776 takeoffs and landings, with more than 400 daily operations. In the month of August this year, there were almost 14,000 operations; in last September were 12,009; and in November 11,572 flight operations. In 2006 5.399 tons of goods were mobilized. And they performed operations at the airport over 200 airlines. Constant concern has been to provide access to the airport in general and in particular to the different services offered, people with reduced mobility. It has worked and is still working constantly on removing physical barriers in the passenger terminal, in the parking and access to the airport grounds. 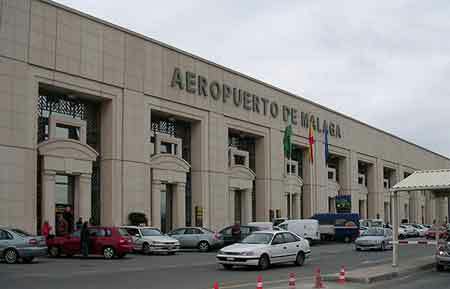 All these data support that Malaga Airport is the fourth in the Spanish airport network and the twenty-fifth in the European rankings. Premier offers a first class service at Malaga airport transfers. 4.7 of 5 based on 1025 votes.